Whether you need a few sheets of A4 address labels or full colour self adhesive stickers for a club night or food item we've got it covered. We have literally hundreds of option when it comes to labels and stickers. 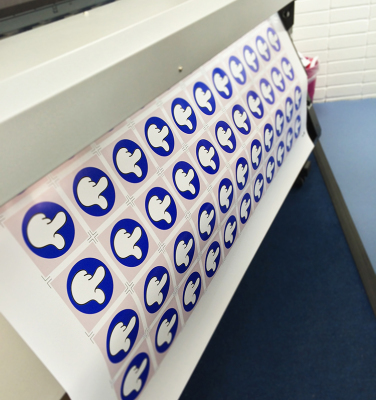 They come on a roll, on A4 sheets or in strips, die cut or just simply square cut. 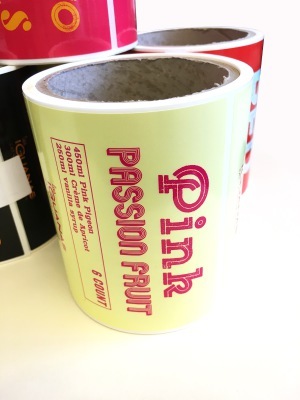 If your product is going outside, being left in a freezer or refridgerated then our durable and high quality PP labels are the ideal solution. We will make a cutter, cut your labels to size and supply them on a roll for ease of use and efficient storage. Ideal as address labels our digitally printed A4 sheets make the process of mass mailing a much easier prospect. It's a simple process - you supply us with a list of names and addresses in an excel spreadsheet and we'll print and deliver them to your office or home just 48hrs later. Want to create stickers that match your branding? No problem. We can die cut really intricate shapes and supply them in convenient sized strips or on a roll (depending on the quantity).